I had a dream once that Jesus was an alien. I’ll never forget it because it came to me when I was 18 and I’d taken a class in college called “The Millennium” and it was all about millennial cults (Ironically, this was in 1998 and it was offered at a Catholic university). At any rate, I had a dream that Jesus returned, only no one realized that he was an alien. If you stop and think about it, aliens who wish to take over the planet would be smart to come to Earth as religious figures. People tend to not question these things. 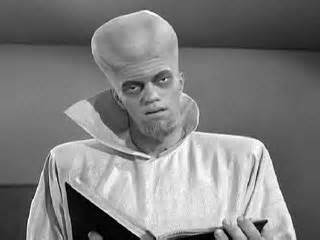 At any rate, tonight’s radio show made me think about the Twilight Zone episode called “To Serve Man.” Rod Serling was ahead of his time. This episode revolved around aliens, the Kanamits (I have a Kanamit doll that I bought at Comic Con) who come to earth under the guide of sharing their wisdom with the people of earth. (Spoiler alert!!) Their real intention, however, is to take humans to their planet as the main ingredient in their recipes…get it–To serve man…. What calls my attention to this episode is that the Kanamits land and go to the United Nations. There is no panic, but there’s a media firestorm and a whirlwind of politicians trying to figure out how to use the Kanamits to their advantage. It’s remarkable how calmly the people of Earth are during this first contact experience. When the aliens arrive in Independence Day, things are not as calm. People panic. Will Smith’s neighbors in Los Angeles do not waste time getting the heck out of town. When the aliens attack, the panic level increases. I would love to see what people today would do if a UFO showed up in the sky for all to see. I’d love to hear the military spin jockeys stammering that they were not caught off guard and the political slant on the massive event. Social media would be aflutter, of course, and the media would be frothing to get an exclusive interview with anyone who knew what was going on. Can you imagine it? 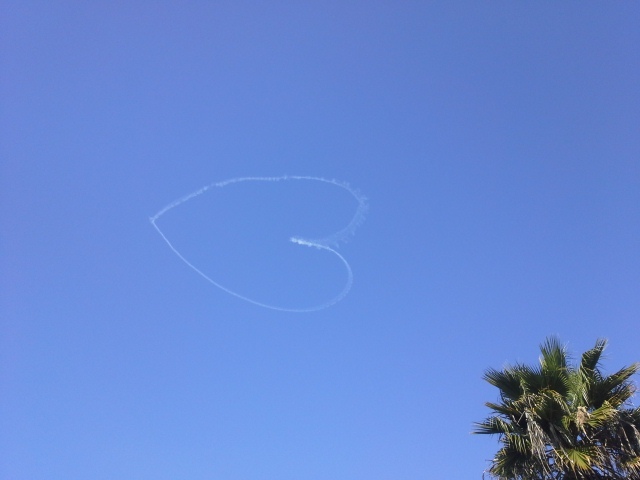 At least it’s a heart and not a skull and crossbones…. What happens to your manuscript after it gets approved for publishing and leaves the editor’s desk? I thought this Random House video does a pretty good job of explaining the pre-publishing process. Specifically, their tagging process looks useful. If you’ve ever wanted to know what happens at a large publishing house, then here’s a small glimpse behind the scenes. We lost one of the comedy greats today. Harold Ramis, who starred in and wrote some of the most memorable comedies of my generation, died today at the age of 69. I’ll always think of him as Egon Spengler in “Ghostbusters.” I was always the girl who loved Egon. I was jealous of Janine in so many ways. I never, ever forgot that the atomic weight of cobalt was 58.9. Every time that question came up in chemistry, I’d smile and thank Harold Ramis for the epic line. I remember watching “Stripes” with my grandfather when I was little. I had no idea how inappropriate it was for a ten year old until I was older, but even as a child it made me laugh. If you’re not familiar with Ramis’ work, here are just a few titles: “Ghostbusters” “Stripes” “National Lampoon’s Animal House” “Analyze This” “Analyze That” That’s a short list, by the way. RIP, Harold Ramis, and thank you for all of the laughs! As the games of the Sochi Olympics come to an end, I am happy to have The Walking Dead hitting its stride. I like the way the second half of the season is unfolding. While I still think that it’s unrealistic that everyone from the original group will manage to find each other (maybe at Terminus? ), I also think that it’s nice to see individual characters in a closer light. Seeing Michonne interact with Carl, and having her reveal more and more about her past to him, makes me realize that she never would have been so relaxed if she was still at the prison. She wants to bond with Carl and this is the time for it. I’ve mentioned before that I’ve never read the graphic novels, so I don’t know anything about Abraham and his group. Judging from what he said of his mission, I wish Eugene hadn’t shot the gas tank. I wish they would have continued on to Washington DC. It would have been fun to see what’s going on in a metropolitan area. That’s what I’m dying to see. What is Terminus? Will everyone reunite there? It seems to be that way, but it’s always possible that not everyone will make it there. All I know is that I’m quite enjoying the narrative style presented by this half of the season. It’s fresh and exciting and it allows for so much more storytelling. I can’t wait to see what happens!